In Love is Strange, you play as Max Caulfield, an 18-year-old in her second year at the prestigious Blackwell Academy in the sleepy seaside town of Arcadia Bay, Oregon. Max, who aspires to become a famous photographer, finds herself challenged by the prospect of entering a photography contest hosted by her school. To be able to enter the contest, she has to pick a partner to work with. From there on out, what happens is up to you. I just wanted to say that I enjoy this game, and that I appreciate all the effort that you all put into making it. I hope life treats you all well, that you all have a nice day, and that you all keep doing what you enjoy. P.S. 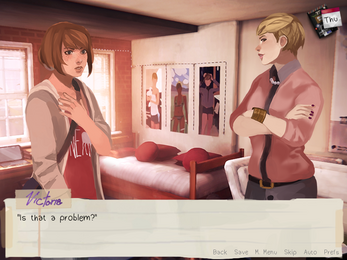 Also sorry about this stupid question but, it is a video game right? Played it the first time and really love it! Went through the Victoria Path and it was very interesting and enjoyable. Sadly I think I only got a normal ending and not a romantic one. If anyone knows how to get the best/romantic ending with her, let me know without too much of spoilers. Or I guess I might eventually figure it out... Going to try Kate next. Neat concept. Like the idea you can romance these girls and not have to worry about anything bad happening, like in the original game (still hate episode 5 and the ending). Looks like it is worth playing. Suppose this doesn't exist an an app, does it? Could you make one with her with guys please? You came to the wrong fandom. That's all well and good but why are they all so buff? I just wish you had made a shorter version of this inspired by Before the Storm with Chloe romancing Rachel and Steph as well so I could continue my gay Arcadia Bay adventures! 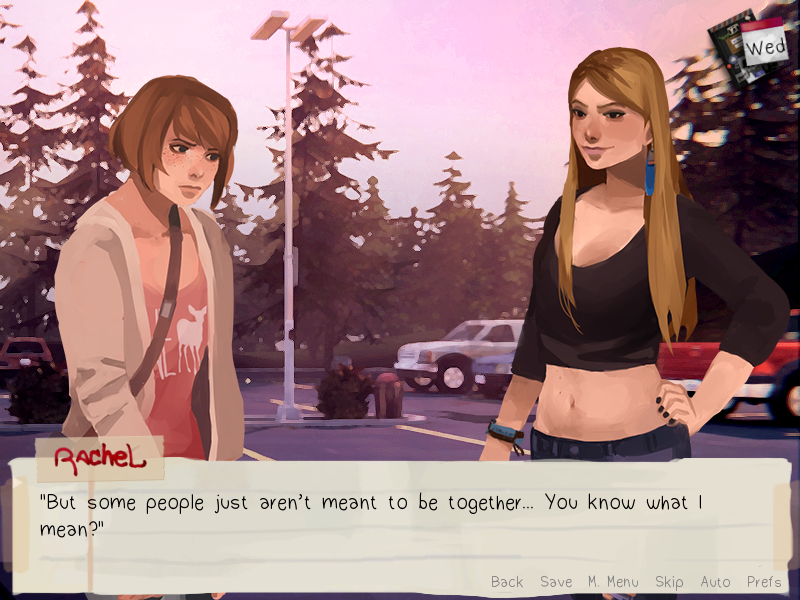 Either way, I absolutely ADORE this game, Chloe and Max's kissing scene has been my laptop background for months. You can really tell how much effort was put into it: the writing, art, and soundtrack are all superb. 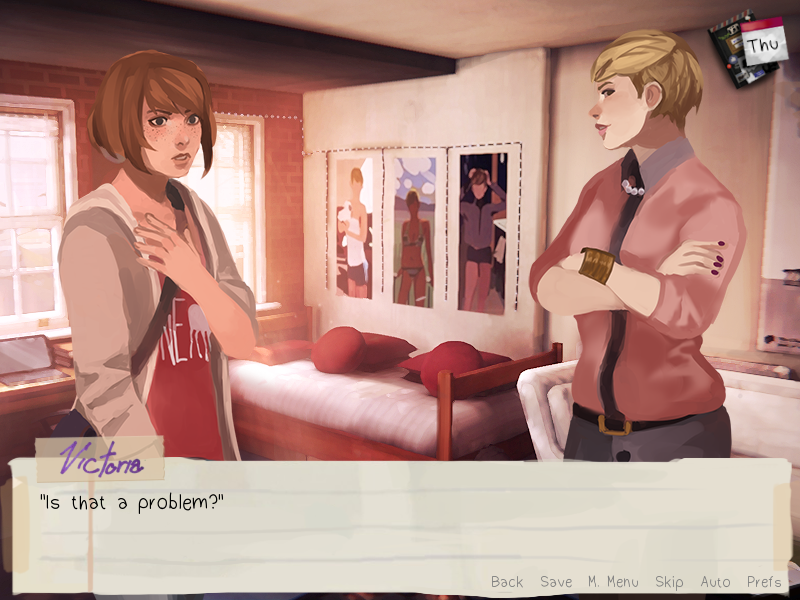 I wish I could live in this softer, less chaotic, more gay version of Arcadia Bay! such a lovely game! 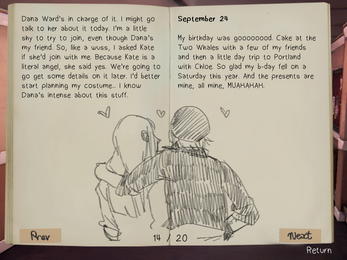 I miss Life is Strange. 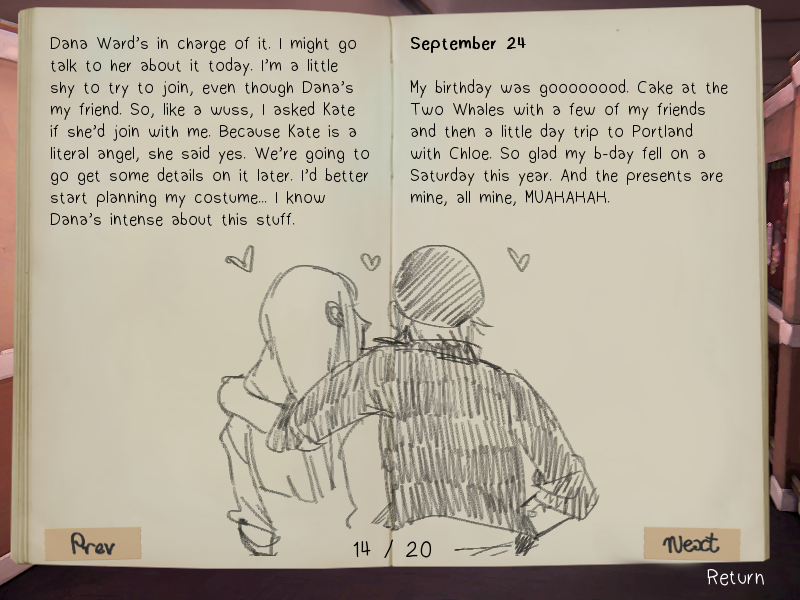 Is this before Max get her Time rewinding power?It would be cool if she could use her power though :l.. like in Life is strange but otherwise great story and art. It's kind of a normal-au, so she doesn't have her powers in this, and it doesn't follow canon. Is this game free of NSFW scenes? If there aren't any NSFW scenes then I would love to make a video. It is completely safe for work! Hey! played your game for my channel! Can't seem to open this for Mac? Really want to play it but it doesn't open? Is there a certain version of OS I'm supposed to use? I have the latest OS, Mojave. 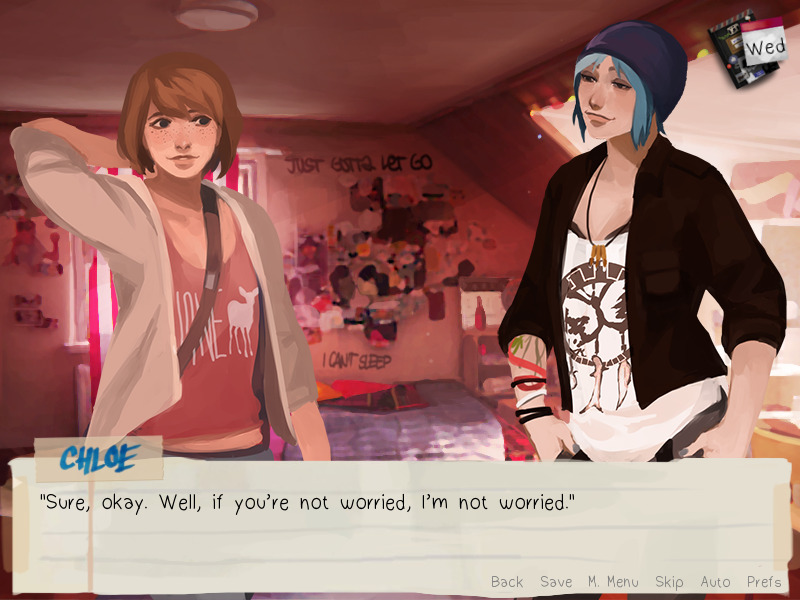 When news came that LIS2 would not follow Max, Chloe or Rachel, I was completely lost as to how to gt my LIS fix. Nothing I've seen before compares to the quality of this, nor the emotions it can provoke. It is more than obvious that you guys spent a lot of time creating this, and I really appreciate it. If you continue to work, set up a patreon because I would certainly support y'all for bringing me this, and I'm sure others would love to, too. Oh my god. 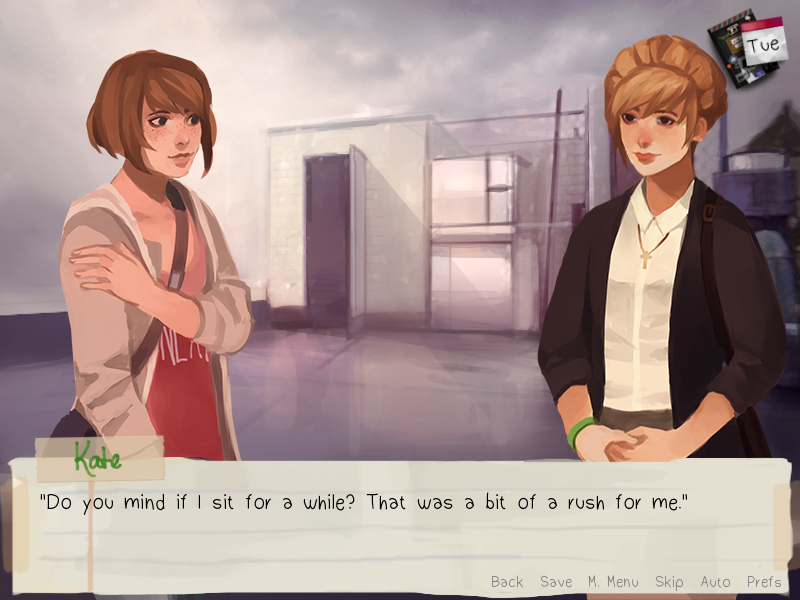 This is such a beautiful game; I've only played Kate and Rachel's routes so far, but it is just so stunning. The choices are so deeply impactful and the slight shifts in how the plot plays out based on your differing choices are wonderful. Rachel's route was so, so beautiful. You have managed to capture these characters in all they are absolutely brilliantly. Kudos to you for making such an incredible game. Thank you for sharing such an amazing piece of art. I really loved playing this game, Max & Chloe forever! 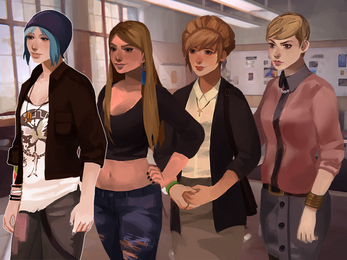 Love the art style some one has amazing skills to depict the characters from Life Is Strange. Although I don't remember the teacher being a hot dog hahahaha. After you extract it with Winrar, you should see an application called LoveIsStrange-FULL.exe. Just double click that! so do we get to influence Max's personality or only approval points? jw!